If you want that no one can use your Aadhaar number without your permission or you want your self to be safe from Aadhaar fraud. 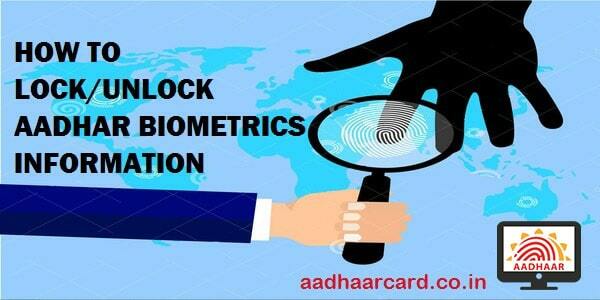 In this tutorial, you will know How to lock/unlock Aadhaar biometrics in 2 minutes. There are two methods by which you can lock/unlock Aadhaar Biometrics data. 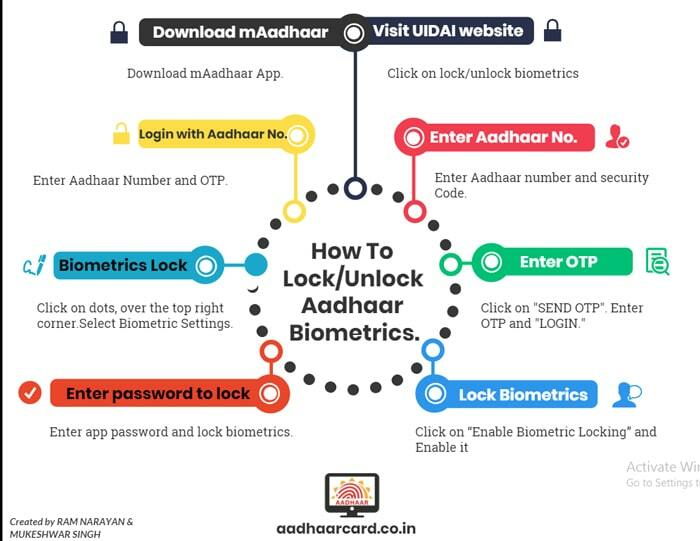 How to Lock/Unlock Aadhar Biometrics through mAadhaar. You can unlock your biometric details through the mAadhaar app. 2. 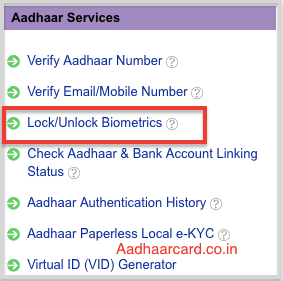 Click on “lock/unlock Biometrics” under Aadhaar services. 3. Enter your Aadhaar number or Virtual ID (VID) and security code as displayed in the box. 4. Click on Send OTP (One Time Password). Then you will receive the OTP on your registered mobile number. 6. Now you just need to copy and “Enter Security Code” and then click on Enable. For unlocking your Aadhar Biometrics, again you have to follow a similar process. 1. First login using the OTP as you earlier did it. 2. Once logged in, enter the security code. 3. Then click on ‘Disable‘ button on the next page to disable the biometric lock. NOTE: According to the UIDAI, Once the lock is enabled, the user can either unlock it for 10 minutes or Disable the locking system. 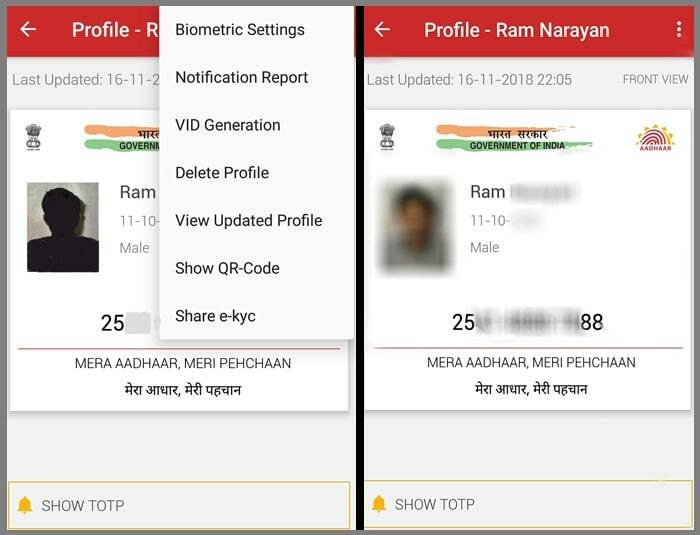 Another method to lock/unlock biometrics is through the mAadhaar app. To lock/unlock biometric details through the mAadhaar App, you have to download the App through play store or app store. 1. Download the mAadhaar app and set a password for privacy. 2. Set your profile and add Aadhar number. Then OTP will be sent on your registered mobile number. 3. OTP will be auto-picked through messages, so always use mAadhaar in a phone where you received OTP. 4. On the top right corner of the app, click on the three vertical dots. 5. Select the Biometric Settings option. Then tick the Enable Biometric Locking. 6. 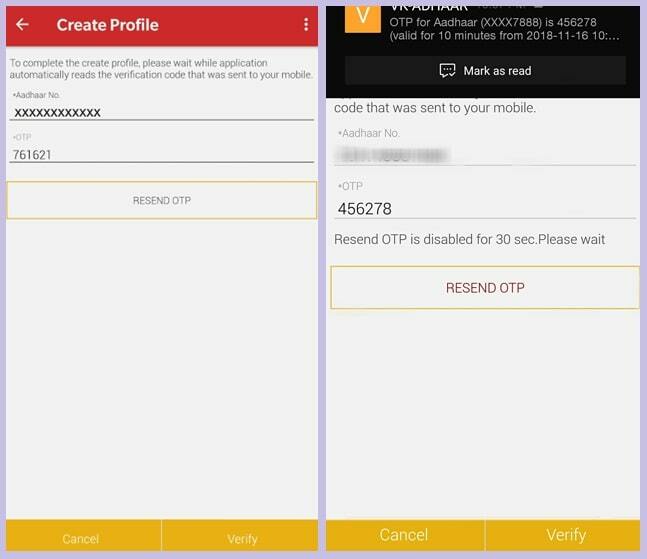 An OTP will be requested from your mobile number and it will be fed automatically in the application. 7. There is no option to enter the OTP manually. Your biometrics will be locked after you approve the task. However, it may take up to 6 hours to activate the lock then you have to verify Aadhaar using your biometrics. 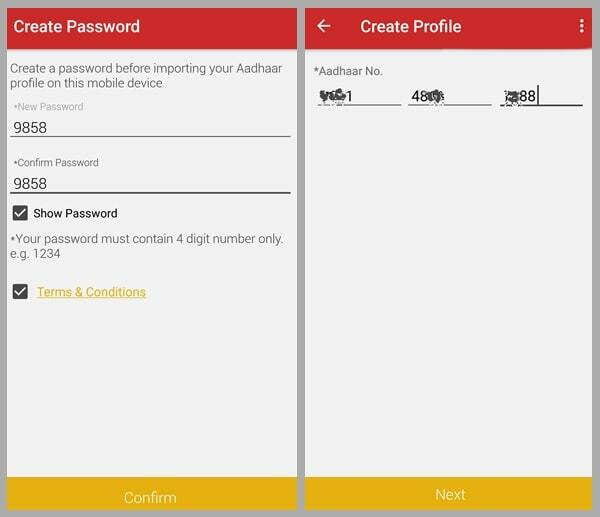 Login to your mAadhaar app, then open your profile in the app. On the top right corner of the app, click on the three vertical dots. 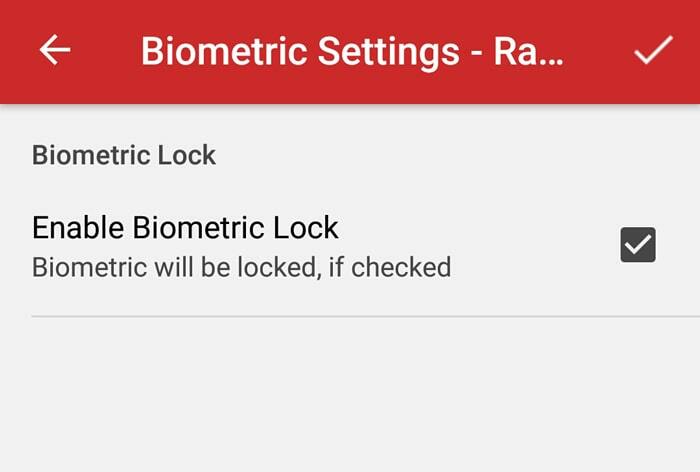 Click the Biometric Settings option and unselect the Enable Biometric Locking option. Now click on the tick mark to complete the process. An OTP will be sent and fed automatically in the app. You will have to approve the process to unlock Biometrics temporarily for 10 minutes. During this time you can use your biometric details. Your biometrics will be locked automatically after 10 minutes. NOTE There is no provision to disable biometric lock through the mAadhaar app. In case you want to disable your biometric lock, you will have to visit UIDAI.